As I am stuck over in Italy and don't have the complete freedom to buy whatever UK magazine I like from the newsagents, I fall behind on the editions of Cycling Active. It's a shame that I don't get to see the magazine as soon as the latest editions come out, since I regularly write articles for the magazine! My routine for writing articles tends to be a real hive of activity to cram in the photos for the ride stories while I am in the UK, and then write up the story while in Milan. Once that is done I forget the story and crack on with the next project. The sitting back and admiring my work stage of the process doesn't happen because I am not around when the editions come out, and I tend to lose track of which article is due to go into which edition. I just rely on others to tell me. Then when I return to the UK I try and catch up on the back issues and see how our final edited pieces look on the printed page. 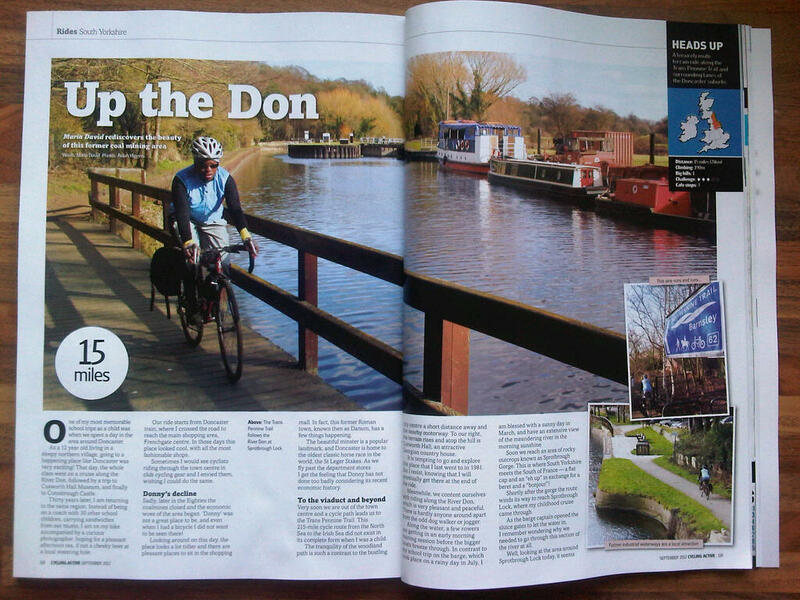 On this trip back to London I managed to see the ride story feature I did on cycling around the Doncaster area. 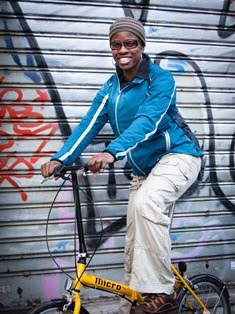 The photos for this were done about 6 months ago, just before I came to live in Milan. It all seems a distant memory now, but seeing the photos reminds me of what a lovely sunny day it had been, even though it was mid February. I also admire Higg's camera work, and how he managed to make a rather ordinary looking place look quite appealing. I understand that the feature we did on cycling around Como is out in a few days. I look forward to seeing that article - some time at the end of October!